Yesterday, Brian and I celebrated our fourth anniversary. I’m so blessed to have such a great husband! In fact, he’s such a great husband that he planned a day trip for me to Goroka, a town nearly two hours drive away from Ukarumpa. We left Greg at home with a babysitter for the day, and so it was just the two of us. Going on a date in PNG is not such an easy thing to do. There is almost nowhere for us to go! Kainantu, the town closest to where we live, is a pretty rough-looking place. It doesn’t offer much in the way of entertainment unless you consider secondhand clothes shopping to be a good date activity (Brian definitely does NOT!). There is one restaurant at the local hotel, but it’s not exactly what I would consider special. So we decided to spend the four hours in the car to get to Goroka and back. The day didn’t start out too promising when our septic tank started to back up first thing in the morning. 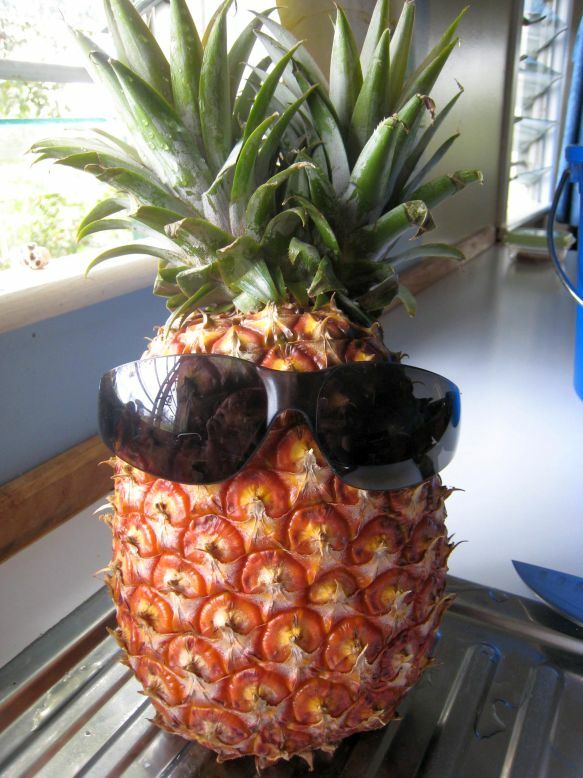 Brian tried to figure out the problem and when he was stumped he proposed calling the plumbers. Then he looked at his wife’s face and realized that postponing the anniversary outing was not the best idea. So instead he arranged for them to come first thing the next day. It’s a beautiful drive to Goroka, and it was so nice to have just the two of us in the car for once. 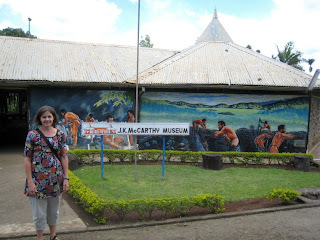 We had heard about the J.K. McCarthy Museum, and so we decided to hunt around and find it. We’re glad we did. They had a pretty big collection of interesting cultural items, WWII artifacts and a whole room full of photos of the Highlands of PNG from as early as the 1930’s, when Westerners first started to explore the area. They even have a glass case containing necklaces made from human fingers. Interesting! 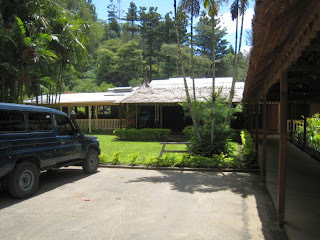 Then we went to our favorite place to have lunch in Goroka – the Pacific Gardens Hotel. It is a very lovely and peaceful place surrounded by greenery. And they have good food as well. By that time we realized we had better head home, knowing it would take us another 2 hours on the road. So we headed back, stopping at the pineapple market on the side of the highway to pick out this big “two-headed” specimen. We arrived home hot and tired from all that driving in a car without air conditioning, but still very happy that we had a chance to get out and have a real (PNG style) date.